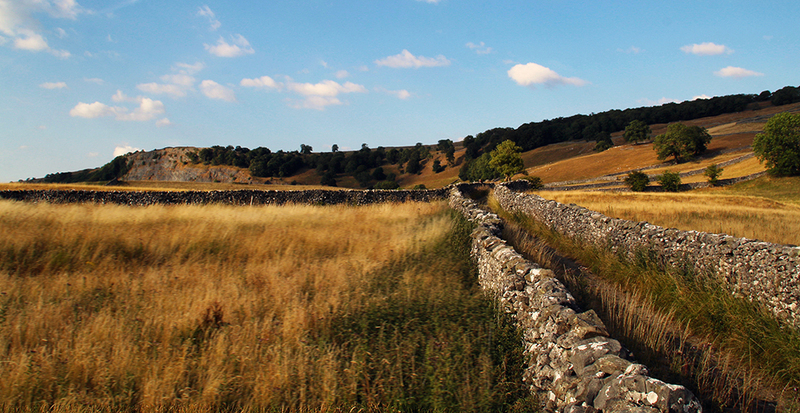 During the long, hot summer of 1976 the Yorkshire Dales were my playground. I was 23, fit and energetic and starting to create a career in journalism. Move on some 42 years to another sunny summer, and here I am: overweight, fond of an afternoon doze and I’m a pensioner – but at least the Dales remain my playground. While idling my time away on the slopes beside Ribblehead Viaduct one day last week, waiting to photograph a steam train crossing the mighty structure, I thought about how the place had changed since the 1970s. Yes, the topography is pretty much as it was back then but the atmosphere is very different. Today I walked up the track towards Blea Moor alongside people who were wearing flip-flops. The recently extended car parking areas were full to the brim. 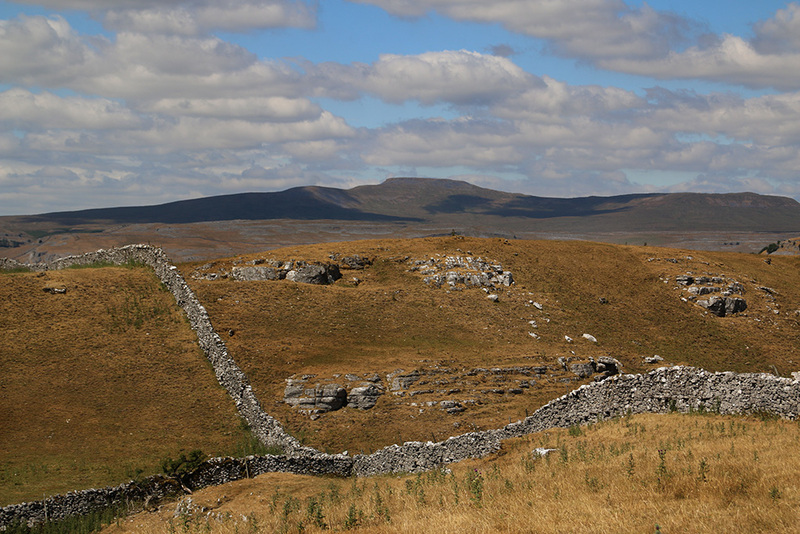 A group on a sponsored Three Peaks hike ploughed through the sightseers. A small helicopter landed and took off again ten minutes later. 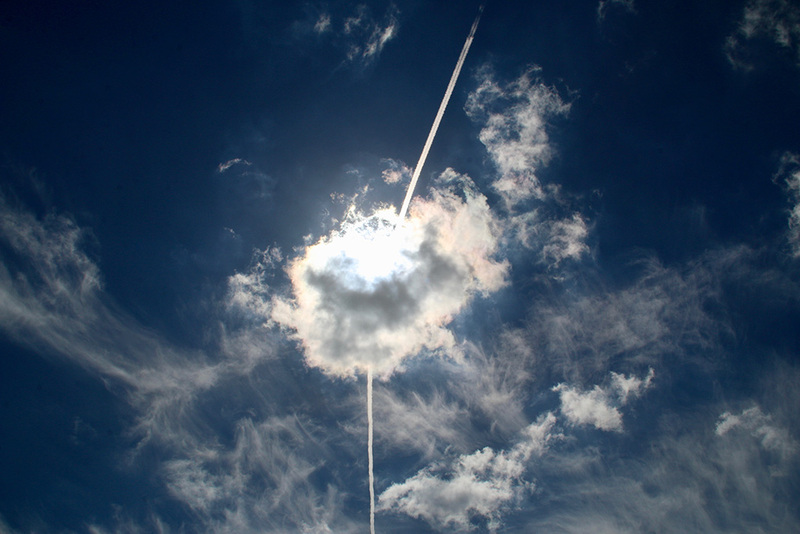 A chap tried out his new drone (unsuccessfully). 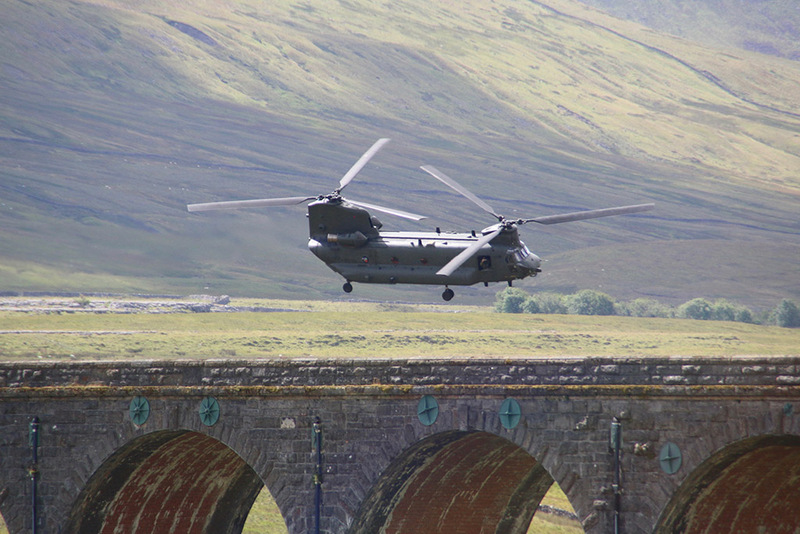 Two noisy Chinook helicopters made their way over the Dales like annoying flies, circled over the viaduct then headed back over Cam Fell. Flashes from mobile phones greeted their arrival and departure. I’d arrived to my spot early to find a good uninterrupted view of the viaduct with Ingleborough in the background. Two minutes before the train was due a family of four plus a loose and inquisitive dog plonked themselves right in my sight-line. The Dales were never so in the 1970s, or perhaps in those days it was me who was being the nuisance? I’ve taken so many photos since my last blog – even a cartload of snaps from a few days in the Scottish Borders around Kirk Yetholm at the end of the Pennine Way – that I’ve had difficulty narrowing down the selection. Anyway, here I share a few. 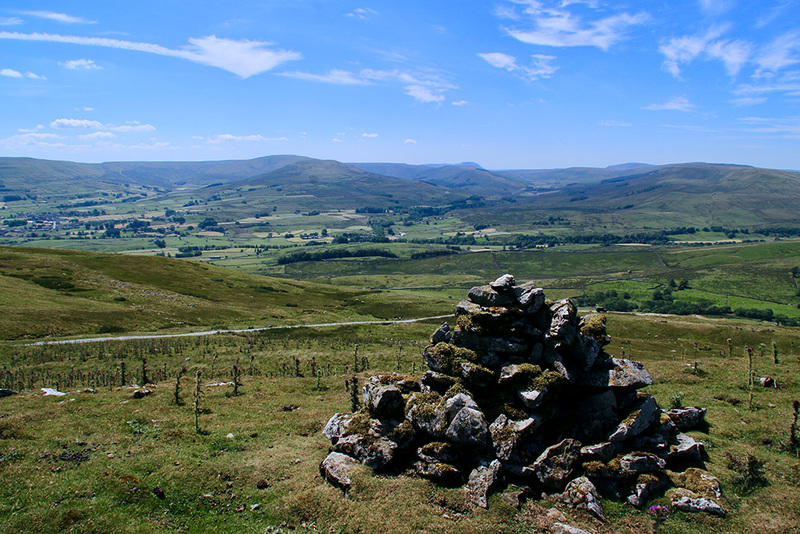 The top pic shows the view from above Buttertubs Pass back towards Ingleborough. 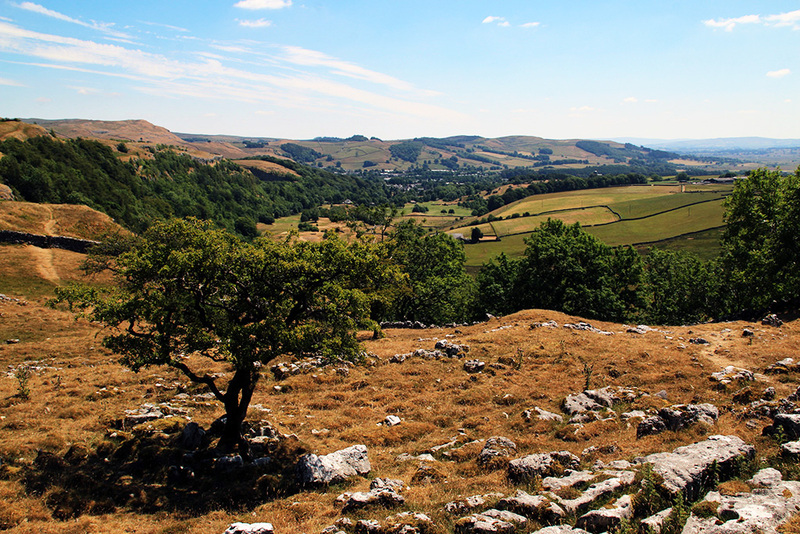 Shades of brown, looking towards Ingleborough again, this time from Giggleswick Scar. 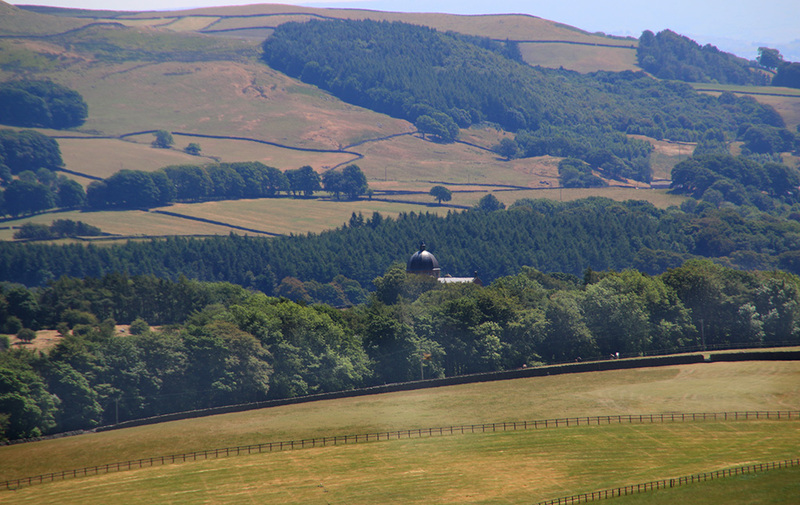 Below, the other direction with Giggleswick School chapel dome above the trees. 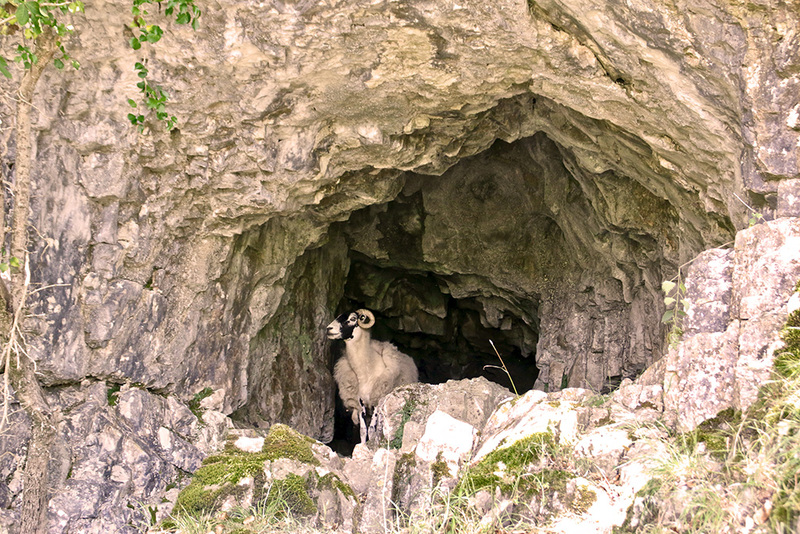 From near the same spot, a sheep shelters from the sun and the view down towards Settle. 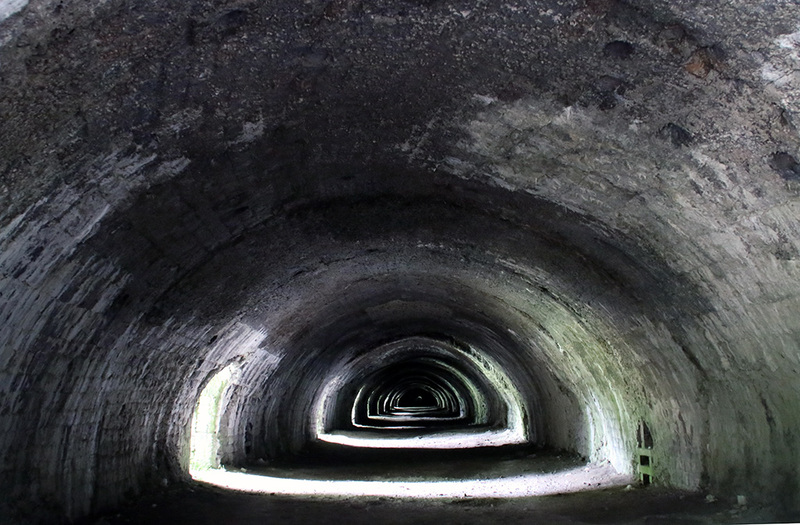 In case the previous photo has anything to do with Trump then I’ve sussed out where to head: Hoffmann Kiln, Langcliffe. 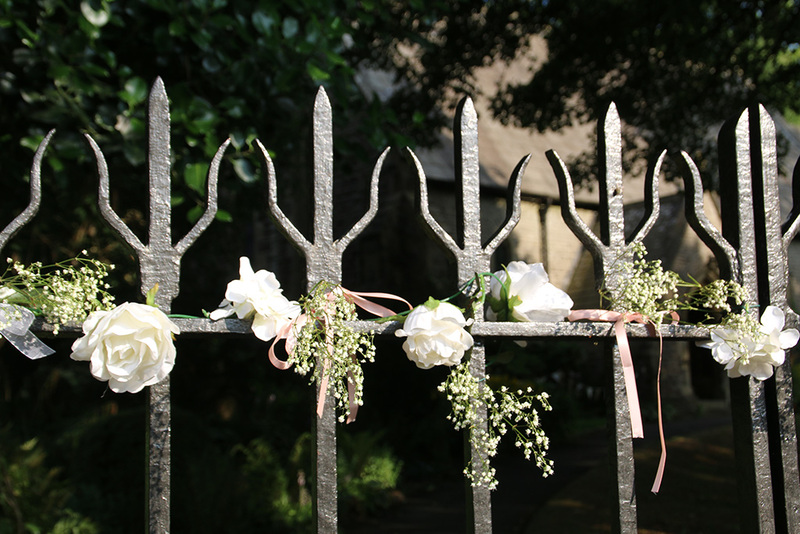 Above, church gate decorations in Langcliffe plus two shots up Pike Lane, in the village. 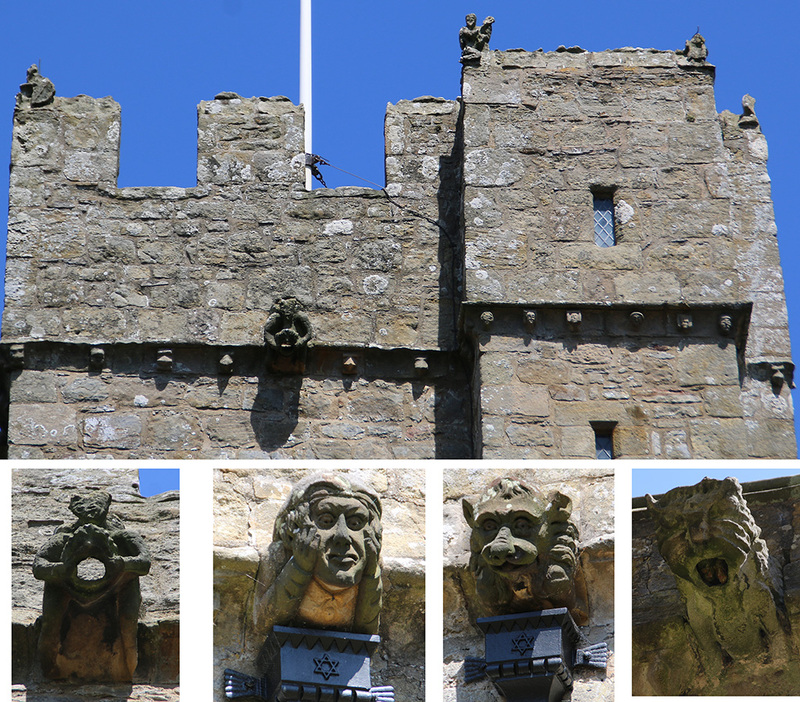 Gargoyles at St Michael’s, Spennithorne near Leyburn. 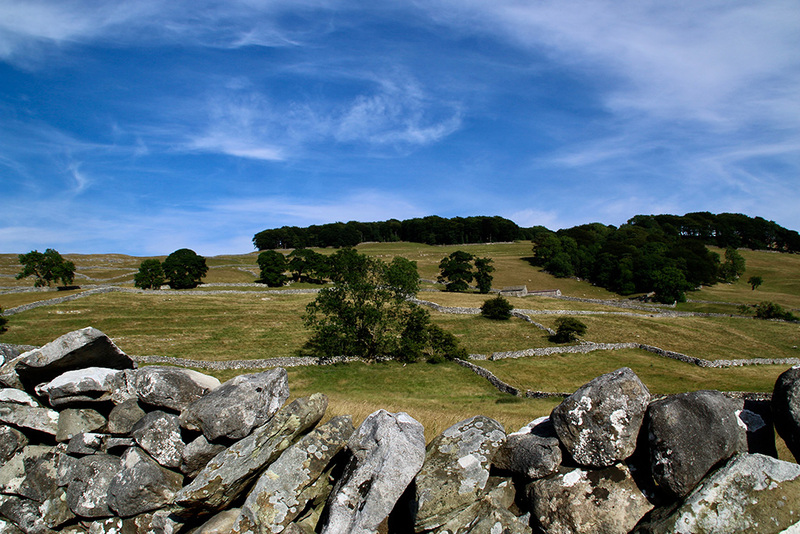 The Eden Valley seen from the road to Keld. 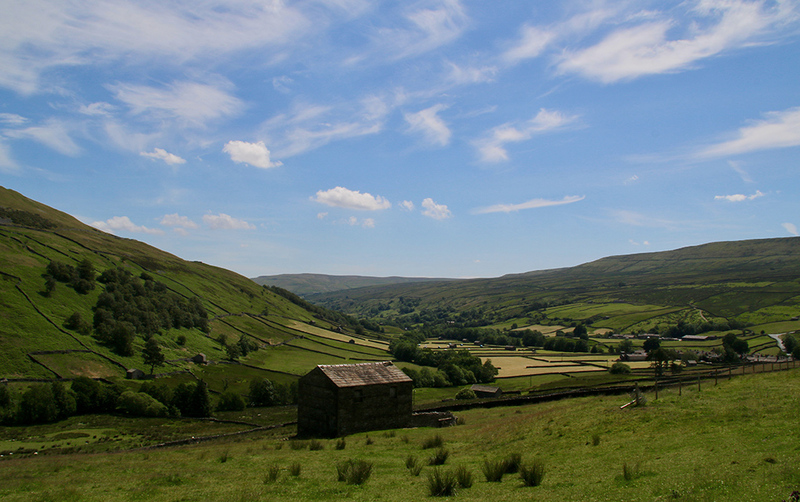 Stock shot down Swaledale taken while the grass was still green. I went to get a shot of a train, well here it is at Ribblehead quarry. What, no train photos? Fear not, train buffs, I will be putting up special page for you when I get a spare moment. 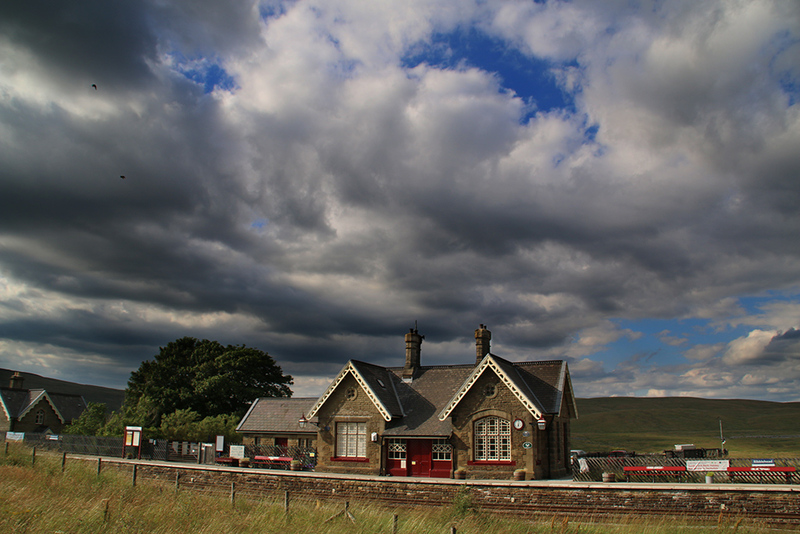 Meanwhile, here’s a moody Ribblehead Station. 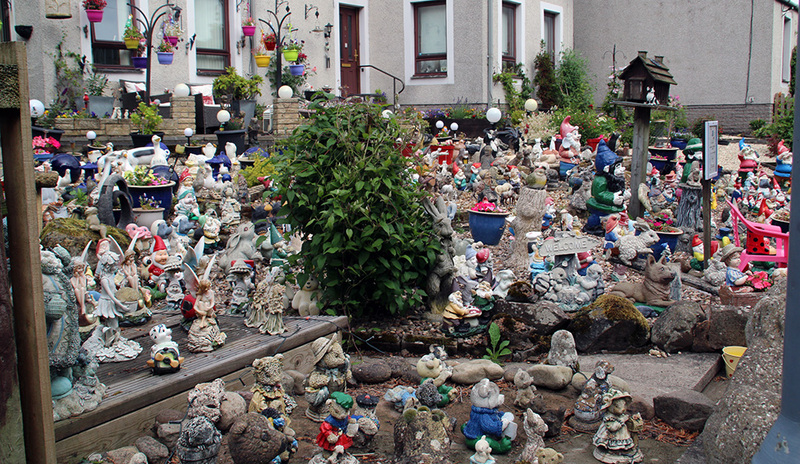 I’ll not bore you with my snaps of the Scottish Borders but here’s one from a garden in Yetholm Town … it’s not gnomal, is it? Great photos again. And it was nice to see your email in my inbox last Sunday. I especially liked the one of the railway station with the moody skies behind. 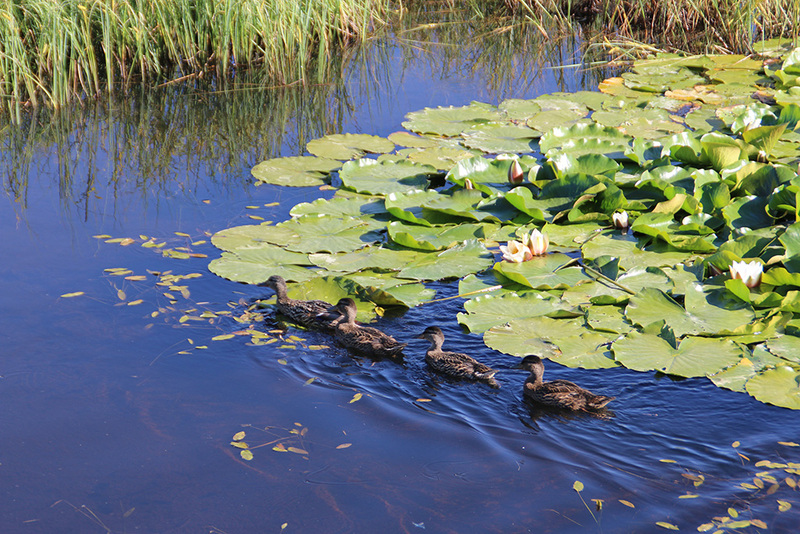 I’ve just bought a Micro Four thirds camera and hope to use it in Yorkshire in September. You used the word Stock photo for one of your pictures. Maybe that’s what you do with all of the other pictures you take. Use them for a photo library ? I wish your posts had a wider audience. Like on Facebook. But it’s a bit of a job replying to everyone’s comments on there. Thanks again.